has been accepted for presentation/publication at the 2019 Experimental Biology Meeting that will be held in April in Orlando, Florida. Click here to see the Abstract. Please consider to donate to the Global Academy for Women's Health. Every dollar you give will help our Mission to advance science and education in women's health. Make our book "What every woman should know about cervical cancer" your companion to turn to when you are ill and need guidance where to go, or if you are healthy, learn how to stay healthy. Ask questions, our recent Webinar "Cervical Cancer, an Everlasting World Health Challenge" is opened for questions. We will respond, and you learn, because knowledge is power. But, help us in our Mission, contribute and make a difference! Make your tax-exempt contribution now by clicking on the bottom. The lecture CERVICAL CANCER, EVERLASTING WORLD HEALTH CHALLENGE is now available On Demand on Labroots.com. To attend the Lecture click here. The registration is free. The Global Academy for Women's Health is a nonprofit organization 501C(3) with a mission to advance science and education in women's health globally. Dr. Markovic and BioSciCon, Inc were nominated for the Healthcare and Pharmaceutical Award 2018, by Global Health and Pharma. GHP is a global information sharing platform & a multi-disciplinary members community, established to enhance communication networks & collaboration across all themes and disciplines within main categories: Human, Animal & Environmental Health, Academia, Industry, Public Bodies & Health Systems, Governments & Policy Makers, Funding Agencies & Groups. Drs. Olivera and Nenad Markovic contributed to the FASEB Experimental Biology Meeting in April, 2018 in San Diego, CA with the report " Is HPV Vaccination Secure Protection of Women With or Without Cytological Cancer Screening." Global Academy for Women's Health gratefully acknowledges the kind letter received from Mrs. Melania Trump, The First Lady, and her autographed photo that will decorate the Office of The Global Academy for Women's Health. This is a beautiful present to the Academy received during the National Cancer Prevention Month. The Global Academy for Women's health has been informing the First Lady, who is very much interested in women's health and women's issues, about its progress of fighting against cervical cancer deaths globally. Cervical cancer raising mortality has been successfully conquered in the US in the past, which puts USA in the position to be the world leader in spreading its experience, knowledge and ability to help all countries to reduce their death rate from this fatal, but also completely preventable and curable disease. Saving women's lives worldwide will certainly reduce the global health disparity paralleling the noble declaration that All humans are born equal, which is the essential statue in the USA Constitution. 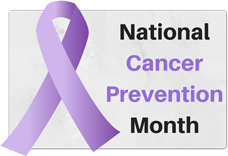 Global Academy for Women's Health is celebrating the month of February, National Cancer Prevention Month, remembering Dr. Papanicolaou and his Pap test, which saved millions of lives around the globe. Cervical cancer is completely preventable and curable IF detected on time by screening. Unfortunately, in the 21st Century, more than 300,000 women globally, 70,000 in India and 4,000 in the US unnecessarily die per year from this disease. These are somebody's wives, sisters, mothers, daughters , and their passing is a disaster for the whole family. The biggest success in cancer prevention was made in 1943 when Dr. George Papanicolaou has described his new test for better preparation of smears, staining and reading the gynecological specimens collected by excoriation from uterine cervix. Unfortunately this test had 20% false negative readings and the NIH National Consensus Conference on Cervical cancer in 1996 called for improvement. The emphasis was given to improvement of sampling and liquid based technologies evolved, but the problem was not solved..
At the same time, we have asked JNCI audience whether a biomarker-based technology can be of help. They supported this idea and we develop a new technology. Please visit the Cervical Cancer page on this web site to access the article. Celebrating this month in 2018, we prepared for our audience a short article in the memory of those days, the following period, and finally, we asked the question what is waiting for us tomorrow. The question is spelled in old Latin” Quo Vadis Pap Test?” because cervical cancer is known from ancient times, and still this problem needs a global solution. Global Academy for Women's Health, following its Mission to advance science and education in woman's health globally, submitted a grant proposal to NIH entitled "Collecting evidence on how much using mobile telecytopathology may reduce cervical cancer rates disparity between rural and urban population in a model Law Middle Income Country (LMIC). This award came after a decade of multiple bibliographical citations of Dr. Markovic's work in several editions of Marquis Who is Who. "We are pleased to announce that Marquis Who's Who has selected you for our official 2017 Albert Nelson Marquis Lifetime Achievement Award. You have been selected to receive this prestigious award as a result of your hard work and dedication to your profession. Congratulations!" Drs. Markovic's book "What every woman should know about cervical cancer" in its KUDOS Section. Drs Markovic contributed to the Experimental Biology National Meeting, EB Chicago, 2017 with the report on Cervical Cancer and HPV: Dilemmas and Resolution via Biomarkers. See Ref. 22. At the beginning of the Cervical Cancer Awareness Month, we are happy to announce that the second, upgraded and extended edition of our book "What every woman should know about cervical cancer" is published by Springer. It is to announce that Dr. Olivera Markovic is appointed Adjunct Professor of Biological Sciences at the University of Maryland Baltimore County. She is currently teaching classes in Graduate Master Degree Program in Biotechnology at UMBC, USG. This is the fifth professorship awarded to Dr. Markovic, after Medical Faculty, University in Belgrade, former Yugoslavia, Medical College of Pennsylvania/Drexel University in Philadelphia, PA, Georgetown University, in Washington, Washington DC and American University in Washington, DC. MEDYKO is a new upgraded MarkPap(r) biomarker. It is an acronym of ME (metabolic biomarker--acid phosphatase), DY (pathocytological signs of dysplasia) and KO (koilocyte sign of HPV disease). It combines signs of pre-cancerous condition, cancer disease and cancer prognosis; altogether metabolic, pathocytological and HPV diagnostic assay. Mothers of the World, Foundation of the Family and its Guiding Force, our Heroes -- Happy Mother’s Day! However, sadly, today in the 21st Century, thousands of women still die from preventable diseases. One example is cervical cancer, which is completely preventable and curable if detected on time, but it is still one the major women’s killer in the world, particularly in the developing countries. What to do about it, how to help women around the world? How to prevent it? The answer is: With cervical cancer screening to detect early changes of cervical cells that may develop into cancer and to educate women how to take better care of their health. Unfortunately, after 70 years of Pap test availability, the ultimate goal – to reverse of cervical cancer trends globally – has been achieved partially – in developed countries, only. In most of developing countries, the outreach for preventive cytological screening is less than 10%. Screening for risk factors such as HPV has contributed, but still not sufficiently. Is global mass cervical cancer screening possible today? Our answer is: YES, but with new tools. With the fast development of IT technology application in medicine (e-Health & M-Health) and diagnosis at distance (telemedicine), with new biomarkers improving the staining procedure of Pap test, this can happen and thousands of Points-of-Care (POC) may become screening units for affordable cost. BioSciCon’s MarkPap® platform technology, supported by GAWH, belongs to this new generation of Pap tests. A low-trained technician at the POC in the remote sites can process the specimen with customer-friendly MarkPap® Kit, locate suspicious cells highlighted by the biomarker and transmit microscopic images, via MarkPap® Networking System, to experts for instant diagnosis. Home MarkPap® Specimen collection kit will further increase accessibility and make the test culture-sensitive. See www.bioscicon.com. The whole procedure should be completed while a woman is still on the premises, some smaller intervention can be performed at the POC, or a woman could be timely directed to a health care institution for further treatment (One-Day Pap test). This biomarker-based, telemedicine-enabled, infrastructure independent, low-cost, simple, affordable, accessible, and culture- sensitive technology combined with wide education of women to increase awareness about prevention, may become a new tool for mass cervical cancer screening, a technology which can bring right care at the right place and at the right time for lower cost. The MarkPap® technology is already widely implemented in China, with current efforts to be introduced in India. With targeting support, it could be introduced globally and save thousands of women’s lives. May this Mother’s Day, 2016 be the beginning of the new era and the best greeting for all women in the world. Dr. Markovic is teaching the course Emerging Topics in Biotechnology at the UMBC, Graduate Master Degree Program. Please view the video, which is an insert from the video presented at the NIH Single Cell Analysis Investigator's Conference, April 2014, Bethesda MD. Note: Video requires password to view. Enter 'GAWH' to view. The participation of BioSciCon and the Global Academy for Women's Health on the January 2014 National Conference on Cancer Detection, Diagnosis and Treatment Technologies for Global Health, appeared in Hopkins News, March 2014. Please click here to read the article. BioSciCon, Inc and Global Academy for Women's Health with participation of companies from LMIC counties, submitted a Project Proposal entitled "Wireless Cervical Cancer Screening in Low and Medium Income Counties" The Proposal was submitted to the National Institutes of Health. Click here to read the Narrative of the Proposal. Global Academy for Women’s Health participated in the 2014 NIH organized National Conference on Cancer Detection, Diagnosis and Treatment Technologies for Global Health in Bethesda, MD. The Global Academy presented a review: ”Meeting WHO Recommendations for cervical cancer screening in developing countries.” The presentation was enriched with long experience the authors have gained working with Indian partners in India. Data presented are in support of the concept that the high tech medical devices could always be simplified to meet more limited requirements. One of the solutions to this task is using biomarkers for specific diseases and navigating all consequent procedures and tools through the scope of the selective biomarker. According to WHO, Pap test remains the best cervical cancer preventive test. However, its classic version cannot be directly applied in the developing world primarily because of the cost and lack of infrastructure. Fortunately, the new biomarker-based Pap test, MarkPap technology products and services which are empowered with telemedicine for distant reading may provide a low-cost, simple, infrastructure independent, accessible, equitable and culture-sensitive opportunity to implement cytological cervical cancer screening all over the world, particularly in the developing world, where it is most needed (www.bioscicon.com). Click here to view the Abstract. In the subsequent discussion, Dr. Olivera Markovic emphasized, based on experiences in China and India, that the biggest barrier is not the cost, but lack of infrastructure at the Point-of-Care (e.g., qualified pathologist, trained technicians), which is most difficult to overcome and needs decades to be developed. Here, telemedicine, telecytopathology providing diagnosis on distance, is the method of choice. Particularly, mobile cell phone transmission of microscopic images from the Point-of-Care to the specialist. The whole procedure may take just few hours, and women could get diagnosis and initial treatment within one single day, while still on the premises. The new ideas attracted a particular interest in the audience, which expressed interest for more information and for guidance on how to use these technological inventions in their environment. Global Academy for Women Health and BioSciCon, together with several collaborators from the US and India, submitted a grant proposal to NIH, entitled ” A comprehensive IT Telehealth Center for Cervical Cancer Screening in India”. This development, if supported, will open a prospective to screening, diagnosis and treatment of Indian women the same day they visit a Point-of-Care. Please click to see the Narrative of this Proposal. Pap Smear Test Can Be Made Available and Accessible to Women World-Wide. It has been tested and repeatedly confirmed during BioSciCon's R&D of the proprietary platform technology under the brand name MarkPap®, which is biomarker-based and telemedicine-empowered. The products in the production pipeline are designed to be low-cost, simple, fast, accurate, accessible, equitable and infrastructure-independent, with selective intended application such as Mass Pap Smear Cervical Cancer Screening World-Wide. Currently, BioSciCon is offering a set of three products from the MarkPap® pipeline for developing countries, particularly India: MarkPap® Test Reagent Kit (a set of reagents, controls and instructions for simple processing specimens by a low-trained technician at the Point-of-Care). MarkPap® Telemedicine Service (diagnosis at distance) and MarkPap® Self-Collection Home Kit (to allow women to take sample at home and send it to the lab for testing). Practically, it means that a women can take a sample at home and send it to the lab where a low-trained person can process the specimen with the simple Reagent Kit. The same person looks on the slide under the microscope searching for biomarker positive (red flagged) abnormal cells and transmits the images of those microscopic fields with a cell phone to specialists. The result could be obtained back within one hour. If implemented, this is how MarkPap® products could bring Pap test across the globe. The products are ready for marketing, and sales are contingent to the local (in-country) regulatory requirements (By permission, BioSciCon, Inc.). We were present at the 18th International Congress of Cytology in Paris, where the paper entitled "Evaluation of Cytology Screening Strategies for Cervical Cancer In Resource Poor Setting" was presented by our Indian colleagues. The recent report of the Associated Press (June 3, 2013) from the Meeting of the American Association of Clinical Oncology ( ASCO) in Chicago entitled "Study finds simple vinegar test slashes cervical cancer dearth rates", has flooded international media with excitement and some exaggeration. However, a closer view of the clinical trial report shows a discrepancy between modesty of the authors and the enthusiasm of media based on their interpretation of the same results. We share the excitement, because all of us would like to see and to hear any breakthrough in cancer research and treatment, but "vinegar test" is not that. The unfortunate history of many diseases teaches that the "Medical Breakthrough News" should always be well considered before being broadcast with enthusiasm. Particularly, news about treatment or prevention of cancer. They can convey false hopes, making the consequent disappointments much more damaging. In order to prevent such stress-related damages, we believe the true information is the best tool to use. Since our mission is to advance science and education in women's health, and we have recently published a book on "What Every Woman Should Know About Cervical Cancer" (Springer), we used this opportunity to comment on several articles which promoted "vinegar test" as "miracle cervical cancer prevention." Our comments were well accepted and published. Please see the reference to these articles and our comments published on the Internet. Jul 7, 2013 - A simple vinegar test could prevent 73000 deaths from cervical ... A primary health care worker swabs the woman's cervix with vinegar, which ... Usha Devi, one of the women who participated in the study, says it saved her life. Jun 3, 2013 - A simple vinegar test cut cervical cancer rates among Indian women by nearly a third and could prevent ... details may visit www.bioscicon.com. Jun 5, 2013 - A $1 vinegar screening can lower cervical cancer death rates, according ... in India found that a cheap test — requiring just a swab of vinegar ....For those who do not believe in it, let them visit the web site www.bioscicon.com. Jun 3, 2013 - A simple vinegar test slashed cervical cancer ...who do not believe in it, let them visit the web site www.bioscicon.com. Jun 4, 2013 - A remarkably simple vinegar test in India has managed to lower the rate ... Those who are interested in more details may visit BioSciCon's website. Jun 4, 2013 - A simple vinegar test slashed cervical cancer death rates by ... Those who are interested in more details may visit www.bioscicon.com. Jun 3, 2013 - ... to know about the application of the Vinegar as opposed to just thetest . ... Those who are interested in more details may visit www.bioscicon. Jun 2, 2013 - As a matter of fact, "vinegar test" is nothing new. ... may visit www.bioscicon.com web site and several prior presentations on ASCO meetings. Oct 1, 2007 - be easily detected with Pap test, and the disease prevented before it appears. Cervical ...... Acid (vinegar), combined with touch cryoablation of white patches on cervical lesions as ..... available at www .bioscicon.com. Oct 1, 2007 - order to position our biomarker-based test to serve women's need best. One of ..... year 2000. In the meantime, Olivera decided to incorporate BioSciCon, ...... Acid (vinegar), combined with touch cryoablation of white patches. The purpose of this briefing is not to criticize or to give lectures. The only purpose is to incite the interest to read more and to learn more about the problem. One information is never sufficient. It was known even to ancient Latin people. They had a saying very appropriate to this occasion. CAVE LECTOREM UNIUM LIBRI (protect yourself from the readers of one book). And, here is why. In the discusses Indian study the control group were women who did not participate in the program. Having such "historical" control is allowable approach, but it does not allow for such "hopeful" interpretation. There is no doubt that VIA (visual inspection with acid) is better than no screening at all, but it is also true that VIA without acid is better than nothing. Also, pelvic exam is better than nothing and even inquiry about women's gynecological problems is better than nothing. VIA is not a novelty and has been used in India for many years, but without significant effect on cervical cancer prevalence and mortality in India (WHO report). It is also true that Pap test is superior to all of these methods, but it is expensive and requires infrastructure at the Point-of-Care. However, there is a low-cost accurate, fast and infrastructure independent Pap test improved by biomarker and telemedicine (smart phone included) method, which could be implemented everywhere in the world for mass cytological cervical cancer screening and HPV triage. For those who are interested to read more, please visit www.bioscicon.com/pressrelease.html and prior BioSciCon's presentations at the American Society for Clinical Oncology (ASCO) meetings, and the presentation from Indian authors at the 8th World Congress of Cytopathology held the same month of June, 2013 in Paris, favoring cytological cervical screening in low-resource countries. If you have any further question or comment please write to us at gawh@markpap.com. BioSciCon, Inc supported by the Global Academy for Women's Health is currently developing low-cost, simple devices for early detection of oral cancer. Oral cancer is common cancer and is among major health problems in the developing countries, particularly in India. To read more about this most recent effort, click here. Prof. Olivera Markovic and the Global Academy for Women's Health were invited to present the lecture on "Cervical Cancer: Past, Present and Future" at the conference organized by Egyptian American Group in partnership with John Hopkins University at the Northern Virginia Community College, Annandale, VA. Please click here to see the presentation. The Global Academy, together with BioSciCon is continuing its effort to advise and support the development of low-cost, simple medical devices which are infrastructure independent and accessible in low-resource countries. Telemedicine (wired and wireless) provides powerful tools to achieve success. Please click here to read "IT Telehealth Center for Telecytopathology" that appeared in The FASEB Journal 2013, 27:874.20. The Global Academy for Women's Health has submitted Application to the IUSSTF Fund for organizing the Symposium "Strategy for Reversing the Negative Trends of Increasing Prevalence and Mortality of Indian Women from Cervical Cancer." The Symposium is anticipated to be held in 2013 at the Johns Hopkins University, Montgomery Campus in Rockville, MD. The Proposal for a comprehensive strategy to increase the outreach for preventive screening to 50% during the next 10-12 years is in preparation. It is expected that the negative trend of an increasing morbidity and mortality at the current outreach of 6% will start to decrease when reaching 50% point. Develop standards and tools to guide the planning and implementation of interventions for prevention, early detection, treatment and care. Provide technical assistance for rapid, effective transfer of best practice intervention to developing countries. Global Academy provides assistance to the Consortium member, MarkPap India, LLC in the Strategy for Fight Against Cervical Cancer in India (See Brochure-November 2012). Our patron company BioSciCon, Inc. has sponsored the development of tools to guide this Strategy. The Global Academy for Women's Health, together with long-term collaborators, colleagues from the All Indian Institute for Medical Sciences (New Delhi), have applied for NIH India-US Collaborative Research Grant "Development of low-cost medical device for cancer screening: MarkPap® Wireless System." Global Academy for Women's Health is announcing that recently, one of our allied companies, MarkPap India, LLC, has issued a Brochure on "Fighting Cervical Cancer in India." The brochure is about comprehensive strategy to reverse cervical cancer prevalence and mortality in India, based on most recent knowledge about the problem and availability of MarkPap® Platform technology products and services, which together with telemedicine may guarantee the success of this task. Brochure can be retrieved by clicking here. Inspired by the Global Academy for Women' Health, the non-profit member of the BioSciCon's Consortium, BioSciCon, Inc., a social enterprise, continues its mission for development simple, low-cost medical devices suitable for the Point-of-Care with minimal infrastructure and low-trained personnel in rural, low-resource areas in the world. MarkPap® proprietary platform technology is a typical example for a biomarker-based, telemedicine empowered, simple, affordable, accessible, infrastructure independent technology for early detection of abnormal cells on cervical specimens. Recently, another medical device. from the same category, APE-100 was announced by BioSciCon for early detection of abnormal cells from oral cavity. Those patients who do not have access to medical institution can obtain oral specimen at home, using a simple Self-Collection Kit and mail it to the doctor’s office. APE-100 is in R&D phase of development. According to the World Health Organization, carcinoma of oral cavity is the sixth most frequent cancer among males in developing countries. Although it represents 2-4% of the malignancies in the western countries, it is estimated to be as high as up to 40% of male cancers in some areas of India. The Global Academy for Women's Health is strongly supporting the development of low-cost, simple medical diagnostic devices that could be used globally to alleviate the disparity in women's healthcare. Wireless health is providing a wide avenue to advance in this field, since 80% of the world's population lives in regions with mobile phone accessibility. Read more about BioSciCon's efforts, supported by the Global Academy for Women's Health, to advance wireless telecytopathology (wireless transmission of microscopic images) from the Point-of-Care to specialists for instant diagnosis, that appeared in Hopkins News : http://mcchappenings.jhu.edu. The preparation of the Second updated and extended edition of “What Every Woman Should Know about Cervical Cancer" in Hopkins News, February 2012. In the context of its mission to advance science in women's health globally, the Global Academy for Women's Health supports and sponsors research and development of simple, low-cost devices affordable to the low-resource countries, as an effort to alleviate the disparity in women's health care. Most recently the Academy is sponsoring research and development of a prototype device for a simple, low-cost Home Self-Sampling Kit that will allow women to take specimens in the privacy of their home and mail it to the doctor's offices/laboratories for preventive cervical cancer screening. It is expected that this will increase the outreach for screening by helping women who do not have access to doctor’s offices or for different reasons are not allowed to visit gynecologists. Outreach for cervical cancer prevention screening is extremely important in the worldwide fight against cervical cancer. The outreach is very low (less than 10%) in many low-resource areas in the world. In India, for example, is 6%. Lack of women's participation in cancer control measures is the main reason why still half a million women get cervical cancer and 300,000 die per year, mostly in the developing world. The renown international publisher Springer invited Dr. Nenad Markovic and Dr. Olivera Markovic to prepare the second, extended and updated edition of their book “What Every Woman Should know about Cervical Cancer." In the context of its mission to advance education in women's health, the Global Academy for Women's Health supports the Second Edition of the book. The first edition was published by Spriger in 2008, it is well accepted and it is distributed worldwiode by Springer, Amazon and affilited distributors. Dr. Olivera Markovic, President of the Global Academy for Women's Health, Inc. provided an interview to the Virginia Telehealth Network on the current progress of telemedicine efforts supported by the Global Academy for Women's Health to bring expert medical healthcare to the remote point-of-care locations in low-resource areas, where it is most needed. An the premises of it’s Office at Johns Hopkins University, MCC, The Global Academy for Women’s Health has prepared a permanent display of contributions from its international affiliates. MarkPap Pacific, LLC, BioSciCon’s Consortium Company, is featured in Washington Post MarkPap Pacific, LLC and its activities were featured in the Washington Post on December 28, 2010. The Global Academy for Women’s Health got a home at the Johns Hopkins University Montgomery County Campus in support of organization’s educational mission, and the advancement of women’s health research. The Global Academy for Women's Health, Inc., in collaboration with the Johns Hopkins University, Montgomery County Campus, submitted a project proposal to the National Institutes of Health for ARRA support for extension and renovation of facilities at the Campus aimed for the advancement of science and education in women's health. BioSciCon and Its Companies on the Forefront of mHealth Development The Global Academy for Women's Health is supporting BioSciCon's research and development for the advancement of science of women's health worldwide. There are still thousands of women who die from cervical cancer in the world. Approximately every two minutes one women get cervical cancer and every three minutes one women die from cervical cancer. Mortality is still high in the countries of the developing world, where only 15% of women get cervical cancer prevention. A simple Pap test that detects cervical cancer early (even in pre-cancerous stage) is still not available or not affordable to many women. Trying to make a difference The Global Academy for Women's Health is supporting the efforts of BioSciCon, Inc. to make its MarkPap(r) Digital (diagnosis at distance) available to the world. For three years BioSciCon was developing its MarkPap(r) Digital enabling transfer of images with the aid of digital cameras and Internet to laboratories with professionals who provide the results. The main problem in the developing countries is lack of infrastructure and lack of trained professionals to provide the result. Telemedicine / telecytopathology enabling diagnosis at distance could be solution of this problem. However, those who need medical help most do not have Internet and digital cameras. In the same time, the cellphone industry has advanced so quickly that much more people, even in least developed regions, have cellphones. This is why BioSciCon, Inc. focused it's efforts, using its powerful MarkPap technology platform, to develop MarkPap® Wireless-- transmission of images using cellphone cameras. The year 2009 was devoted to this task and BioSciCon, supported by the Global Academy for Women's Health, succeeded to advance in this field. Please, see www.bioscicon.com/gallery.html where first set of images obtained by cellphone camera is presented. With BioSciCon's permission, we are presenting here segments of its recent Press Release. The mHealth denotes delivering health care services using mobile wireless communications that has recently emerged as a new viable option for providing health care in developing countries. The Year 2009 is proclaimed as the Year of mHealth. According to the United Nations Foundation, the mHealth is “a high reach, cost-efficient method for making healthcare more accessible, affordable and effective across the developing world.” Many regions in the world do not have access to the Internet, but 80% of the world’s population lives in regions with mobile phone accessibility. The book "What every woman should know about cervical cancer'" was published in July 2008 by Springer for international distribution. In August 2008, the New York Times published a comprehensive article "Drug makers' push leads to cancer vaccines' fast rise" which has created public alert and excitement. (Link to article). The full text was published in NYT on August 20, 2008. This book came in a specific moment when in the US and in many countries of the world proponents of HPV vaccination are promoting mandatory vaccination for girls and are pressing issues to immunize as large population as possible. Because the vaccine is specific for only four HPV strains that can cause HPV persistent disease that can cause warts and/or cervical cancer in the future, because this future reference is not yet available (short time for evaluation), and because vaccines have their own side effects, potential consumers, women and their daughters are alerted, scared and somehow confused what to do. This book is bringing fresh, scientifically based information and is intended to improve women's knowledge to the level that can make educated decision about their own health. This task is not easy to achieve. Reading the book is an excellent first step, but is only a first step. Such books need to be understood and learned. Fully aware of the needs to expand the knowledge of women after reading the book, the Academy has designed a plan to work with those women who had read the book and have expressed interest for further knowledge, to help them obtain this knowledge via focus groups. The second part "the interactive education" is open for enrollment. The focus groups are designed as party events where women will gather to discuss the book, ask questions and receive answers from professionals. Prior to that, the book will be given to women free of charge to read and come prepared to the focus group discussion and to ask educated questions. In the informal atmosphere of the focus group gathering, women will feel comfortable to ask questions and get answers to the problems they face in everyday life concerning their health. This will give them the opportunity to learn more about scientifically proven and medically correct explanations that will help them to make the best possible decisions about their health and the health of their families. The book will remain in their possession as a companion to turn to later when needed. It is expected that women, participants of the focus groups, will share their experiences and new knowledge with their families, friends, co-workers and acquaintances and this is how the awareness will be raised and the knowledge will be spread in the communities for the benefit of all. The Global Academy welcomes contributions to purchase books for women and to organize more focus groups. Please click on the Contact Us page to contact the Academy and to provide donations. The Global Academy for Women's Health is a tax exempt organization under Section 501(c)(3) of the Internal Revenue Code. Except for historical information provided herein these press releases may contain information and statements of a forward-looking nature concerning the future performance of the Company. These statements are based on suppositions and uncertainties as well as on management's best possible evaluation of future events. As a result, readers are advised that actual results may differ from expected results. Dr. Nenad Markovic and Dr. Olivera Markovic, The Global Academy for Women's Health, Inc., Rockville, MD, authored the book "What Every Woman Should Know about Cervical Cancer" that has been recently published by Springer for international distribution. The book is currently available in Europe and will be available in the US in July 2008. This book is intended for wide audience: General public, including healthy women at all ages and their spouses, girls and their parents, women suffering from cervical dysplasia and cervical cancer and their families and caregivers. It will also well serve students and their instructors at colleges and universities and health professionals involved in women's health. Recent introduction of HPV vaccines has raised hopes for immunization against cervical cancer and for the first time in the history of humanity for eradication of cervical cancer. The new 'opportunity' has changed many current views on cervical cancer prevention, control, diagnosis and treatment. Many canons and guidelines became subject to review and many revisions are coming. This book is intended to summarize most of these events and to present them in a language understandable for general public. We expect the book will bring all readers the rationale for optimism and will provide guidelines as how to gain knowledge and skills for critical thinking and making educated decision when it will be necessary in their lives. The Global Academy for Women's Health supported the BioSciCon Team for Telecytopathology to presenta a poster at the Innovative Corridor of the 2008 BIO Convention, June 17-20, San Diego, CA, The title of the presentation is A tool for integration of cytology, HPV screening and telecytopathology. The Global Academy for Women's Health Team participated with an abstract entitled Ask for women' opinion first on FASEB Experimental Biology, 2008. Today's Research: Tomorrow's Health. San Diego, California, April 5-9, 2008. Drs Markovic participated in the 55th Annual Meeting of the American Society of Cytopathology held in Huston on November 2-6, 2007. They presented the results of the application of MarkPap technology and its prospective in telecytopathology. "What every woman should know about cervical cancer"
© Copyright 2007-2020 GAWH. All rights reserved.